ITIL® 4 Foundation in San Francisco is the most widely acknowledged entry-level ITIL certification for IT professionals. Today’s IT departments need qualified experts who can deliver effective IT services. This training will show you the ITIL services lifecycle, how lifecycle stages are linked, processes involved, and best practices for enhancing the quality of IT service management to reduce costs and increase productivity. 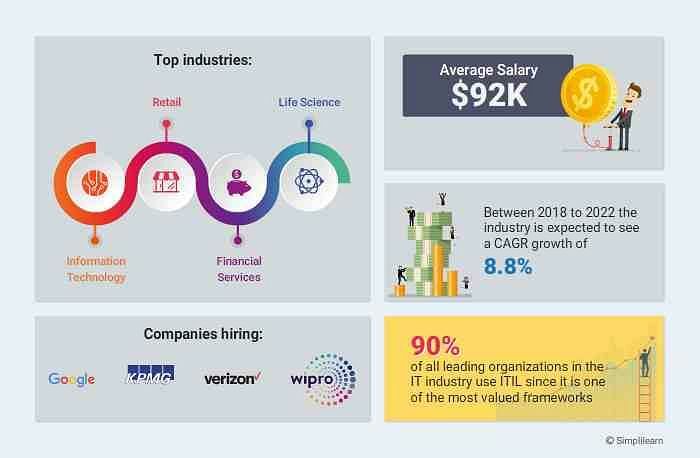 And remember, ITIL certified professionals earn 40% more than their non-certified peers.